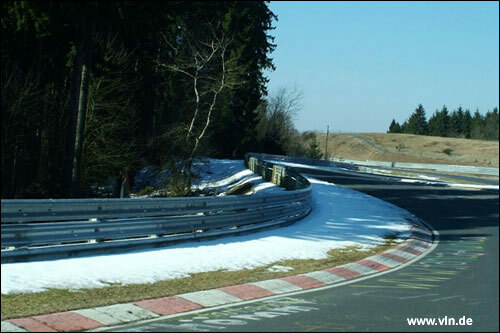 Deja vu: just as this time last year, winter is in no hurry to leave the Eifel; and the first round of the German Endurance Championship had to be called off for safety reasons ,on March 25. The runoff areas to either side of the track are for the most part still covered in snow, and the asphalt itself is still treacherously slippery in places. As the series officials have already made clear that there will be no November race this year, the championship is now down to nine rounds. Ideally (but we are not prepared to bet money on this), spring will have sprung in time for the next 4 hour race on April 4.